Business Continuity & Disaster Recovery – Quality Computer Services, Inc.
Pittsburgh-based Quality Computer Services, Inc. will help you protect and recover your valuable data. As a small to mid-sized business, you are creating more data than ever. One of the greatest threats to your company is the risk of losing this potential data. In fact, any data loss could jeopardize your business. Traditional backup methods—tape, disk and strict NAS devices—are no longer sufficient. Thankfully, today, technological innovations have set a new solution standard: Intelligent Business Continuity, which goes beyond data protection by delivering automated assurance, continuous protection, secured storage, and instant recovery. When creating your Intelligent Business Continuity plan, consider both on-site and off-site backup. Severe repercussions result if your critical data is not securely backed up. Don’t let this happen to you. Off-site storage systems provide secure copies of your data and ensure you can retrieve all lost information if a physical disaster (fire, flood, theft, etc.) strikes your data center and/or office. Additionally, on-site backup allows you to quickly recover from data loss due to common causes such as hardware failures, viruses, or accidental deletion. Datto is an innovative provider of comprehensive backup, recovery and business continuity solutions used by thousands of customers worldwide. Its 140+ PB purpose-built cloud and family of software and hardware devices provide Total Data Protection everywhere business data lives. 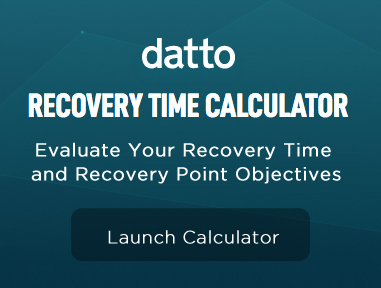 Whether your data resides in a physical or virtual server, or in the cloud via SaaS applications, only Datto offers end-to-end recoverability and single-vendor accountability. Datto offers a secure and automatic method for both on-site and off-site data storage in one simple and easy-to-use device. 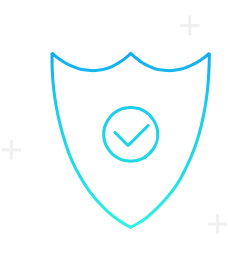 Each Datto solution device creates an encrypted on-site copy of all your files, as well as back-up copies at dual secure data centers located on both U.S. coasts. So if your on-site Datto device is ever damaged or destroyed, we will overnight a new unit containing all of your original data and settings, providing rapid recovery. Backup integrity is essential in any business continuity solution. Proof of backup is a core feature of Datto. It’s not enough to implement a technology and assume it’s continually working in the background. With any sophisticated technology, there are always potential points of failure. When Datto performs backups, it captures an image of the login page, providing you with visual proof that your data has been successfully backed up—making this is an industry first. Virtualization is another essential component to your business continuity solution. In the event of a natural or technical disaster, you must assure that your data is fully backed up and can be restored in a timely manner. Different Datto solutions offer Instant Virtualization both on-site and off-site. Backups can be virtualized locally to the Datto device or to the secure Datto cloud. Should a disaster occur, you can continue business as usual in the Datto cloud. Even while virtualized, your systems can still perform regularly scheduled backups to both the device and Datto cloud. Datto’s Hybrid Virtualization is a combination of instant off-site virtualization and the single-click connectivity of instant local virtualization. Our experts are ready to help you protect against disasters that can damage your business.